"I'm not flying in that!" 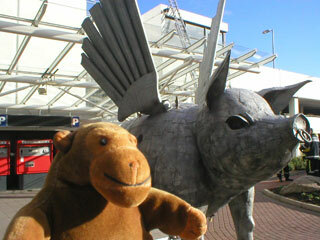 Mr Monkey was a little alarmed when he arrived at the airport, as it looked as if he was going home on a flying pig. 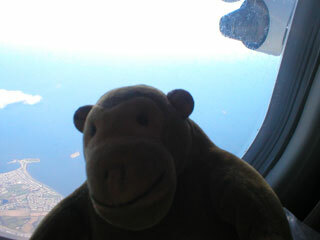 Luckily, they let him on a BAe 146 instead, which was a bit noisy but did have proper engines.